Why rosemary sprigs will be your go-to grilling accessory. 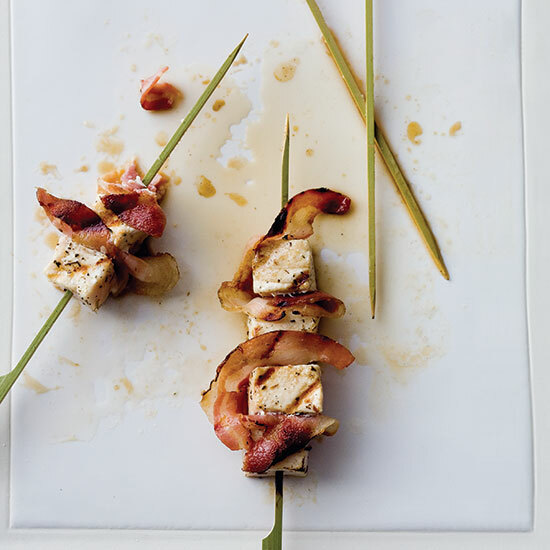 Easy to assemble and quick to cook—kebabs are excellent for outdoor entertaining. 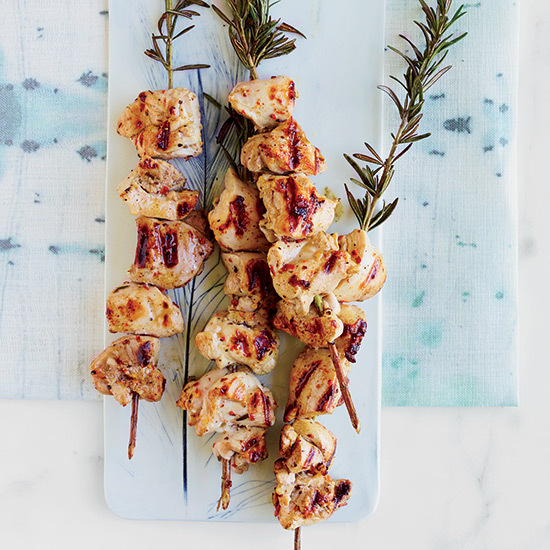 This grilling season, give your kebabs even more flavor by skipping the typical wooden or metal skewers and replacing them with sturdy rosemary sprigs, which impart a fantastic herbal essence. 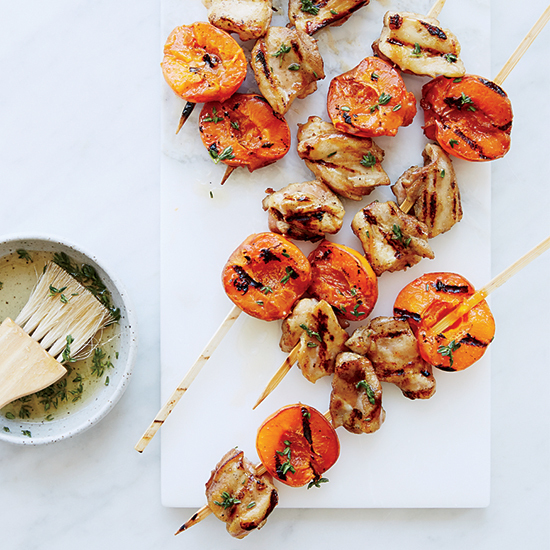 From juicy chicken skewers to simple salmon-and-tomato kebabs, here are five go-to recipes. Chicken thighs are perfect for the grill because they stay nice and moist. 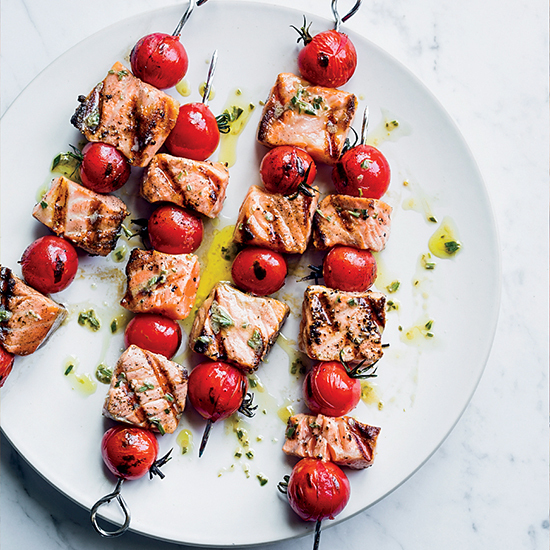 Skewering them with rosemary gives them a lovely herbal flavor. 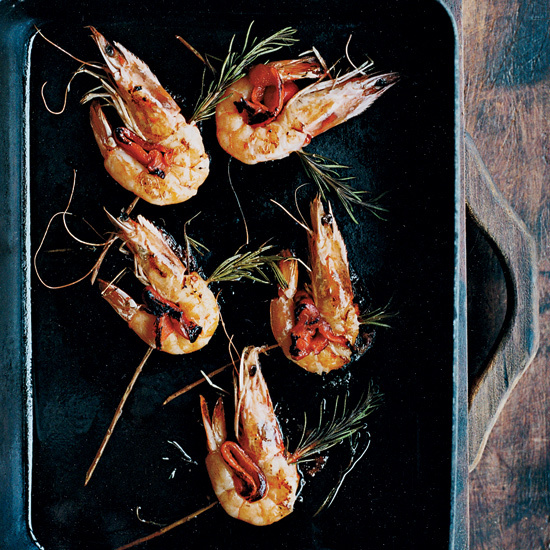 These simple skewers are lovely because of their distinct rosemary flavor, which completely infuses the charred shrimp and sweet red peppers. Rosemary sprig skewers amplify the flavors in the vinaigrette. "The rosemary sticks infuse the fish with such as nice flavor," says Everyday Italian chef Giada De Laurentiis, who grills juicy chunks of swordfish with slices of pancetta or bacon. These kebabs are ultra-fragrant thanks to the rosemary skewers and delicious honey-thyme glaze.